How to get deleted contacts back on iPhone turn to a easy way if you find a good way. 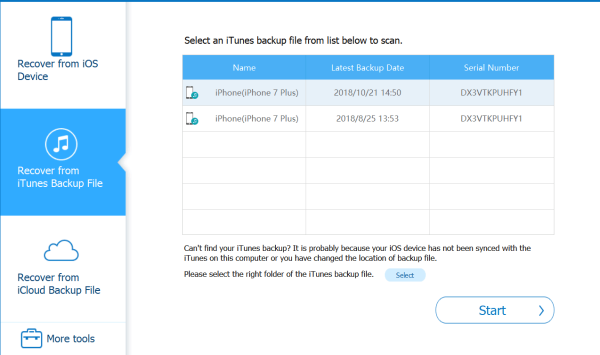 How to retrieve deleted contacts on iPhone without backup by recover from iOS device and how to recover deleted numbers on iPhone by iTunes files and iCloud files can achieve there. "When I cleaned up my iPhone 6 trash yesterday, i accidentally deleted a contact on my iPhone. It is a important customer I just got. Losing this contact means losing a big order. 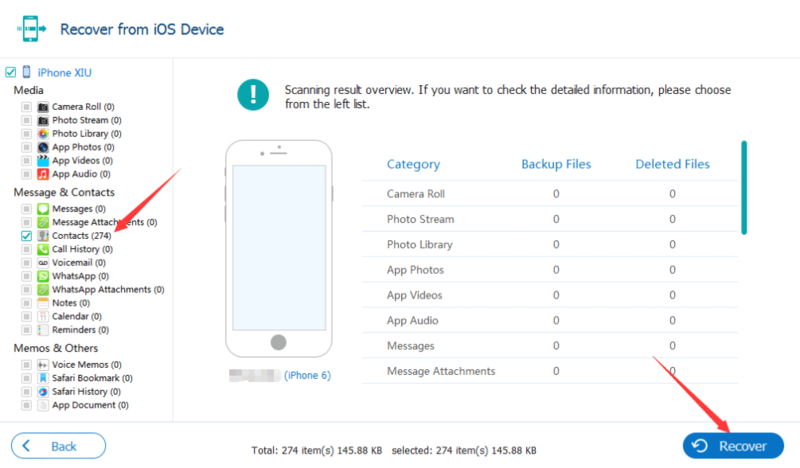 Please tell me how to recover deleted phone numbers on iPhone 6. I am very grateful." Yesterday I saw one help in the net forum, In fact, there are many friends like hi, unexpectedly lose or delete our iPhone contacts, the smart phone is mainly used as a tool for connecting people. The contact is definitely important. However, please don't panic because we can retrieve contacts from iPhone. Maybe you already have tried to recover deleted contacts from recent deletion, but no function.At this time you need third-party software to help you recover your iPhone contacts, you can try Eelphone iPhone Data Recovery, who work with iPhone XS / XS Max / XR / X / 8/ 7 / 6s / 6 / 5s / 5c /4S/4. Simple operation, diversified path to find deleted contacts iPhone, just a few clicks, you can recover lost contacts iPhone. Please follow the methods and the steps below. Method 1: How to retrieve contacts from iPhone. 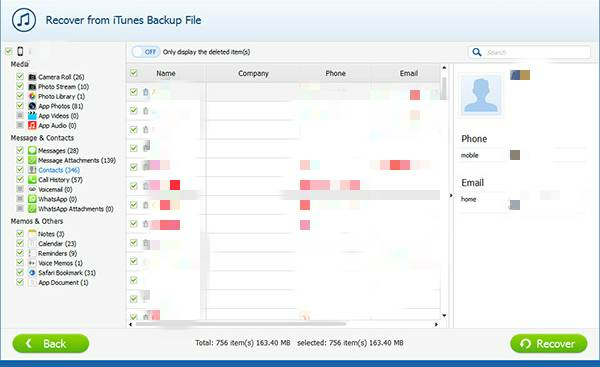 Method 2: How to get deleted contacts back on iPhone from iTunes Backup File. 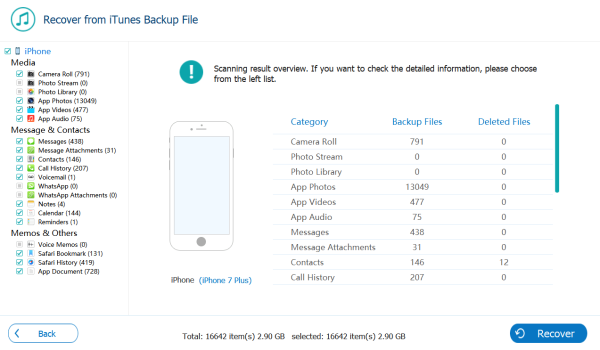 Method 3: How to find deleted contacts on iPhone from iCloud Backup File. This method only requires you to connect the iPhone to Eelphone. The software can restore the contacts by scanning your device. We can restore the contact you need. 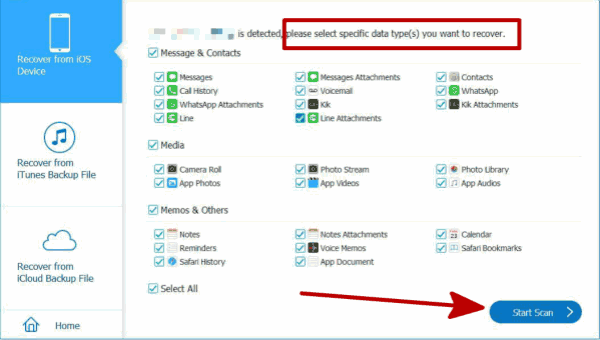 During the operation, you can also recover the lost/deleted pictures, messages, etc. Step 1: You must download Eelphone iPhone Data Recovery for free to perform the following operations. Launch it and click “ iPhone Data Recovery ”. Step 2: On the left of the page, presenting three methods about how to recover deleted contacts from iPhone. 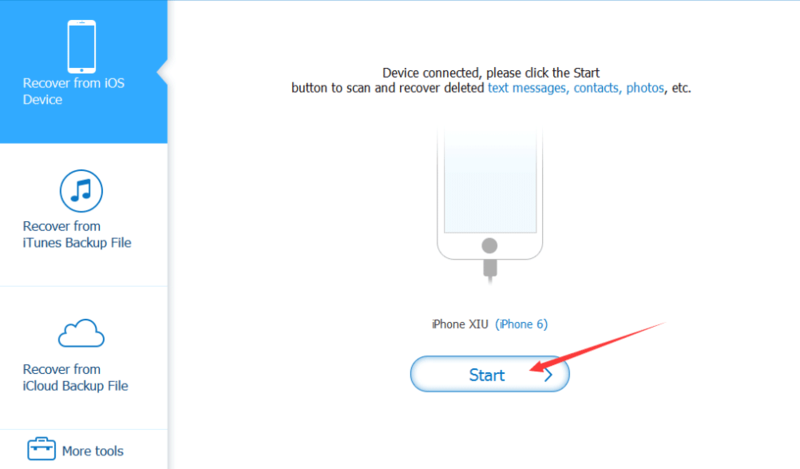 The first method works with iPhone, so connecting iPhone to PC through USB cable, after connected, click “ Start ”. Note: Before connecting, you need the latest iTunes version on your computer to scan your iPhone. Step 3: A moment of scanning, there presents the scan result, you can choose the type of data you want recover, here you want retrieve deleted contacts iPhone, Check the small box in front of the “Contacts” to go on. Then click on “ Scan ”. Step 4: Scanning result review, check the detail information in the left. Choose the “Contacts” on the left, and finally click “ Recover ”, and your will recover contacts iPhone. This method needs to be used if you have backup habits. At this time, many people may ask, since I have already backup, why should I use the software, why not restore it directly from iTunes? Good question, but you can only recover the data you last backup from iTunes. 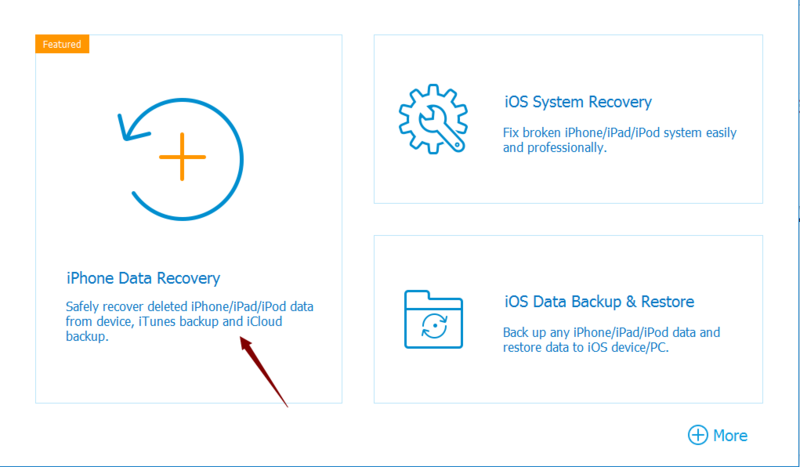 The previously backup data will be overwritten, but Eelphone can recover every data you restore, we have the choice of backup time, then, please look below. Step 1: Make work Eelphone iPhone Data Recovery , click “ iPhone Data Recovery ”. Step 2: Choose “ Recover from iTunes Backup File ” on left. Step 3: Select the backup file distinguished by time, and click “ Start ”. Step 4: After scanning, you can see the data you want to recover on the left side of the page, click on “ Contacts ”, then click “ Recover ”. Wait a few minutes and your will retrieve contacts from iPhone. This method also needs that you have backup also. 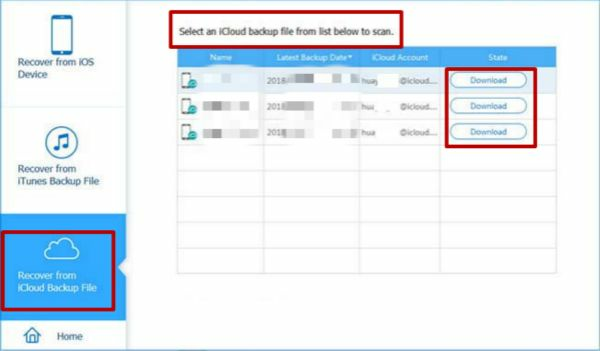 It is very simple, sign in your iCloud account, the software will automatically present the relevant backup files, select the data you want to recover without connection. Step 1: Open Eelphone iPhone Data Recovery software, click "iPhone Data Recovery ". Step 2: Click “Recover from iCloud Backup File” on left. Step 3: There will present backup files according to backup time. Select an iCloud backup file from list, click “ Download ”. Step 4: After the scan, you can see the data you want to recover on the left side of the page, click on “ Contacts ”, then click “ Recover ”. After a few minutes and your will recover deleted contacts iPhone.